The disclosure presents an innovative apparatus for use in instructing hitters how to focus on the flight path of the baseball. A key point of the visor, as explained by a sports vision therapist; during use the batter is working hard focus, giving peripheral vision a break or relaxing it. Once you take the visor off, peripheral vision works with hard focus giving varied results. 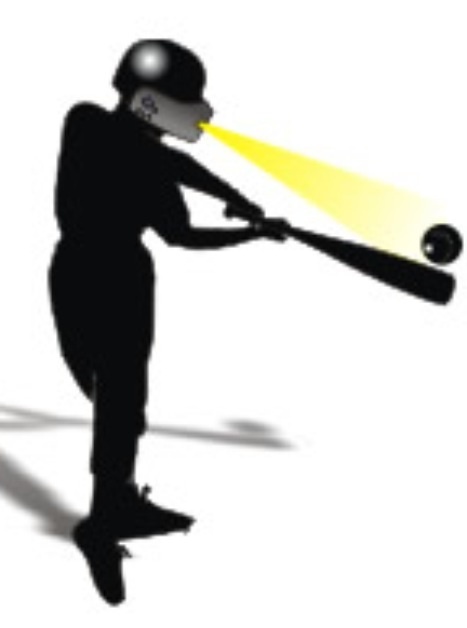 Some hitters tell me the ball looks bigger, brighter white, moving slower. I get all of these comments and more. Given the need in many sports to follow the flight path of the ball and given the explanation by the sports vision therapist, this product can be modified and used in many different sports as well as non-sporting applications. I have people not only using this for baseball/softball, but also for football: narrowing focus to the flight path of the football (use during receiving routes only without a defense to plow him during lack of peripheral vision). 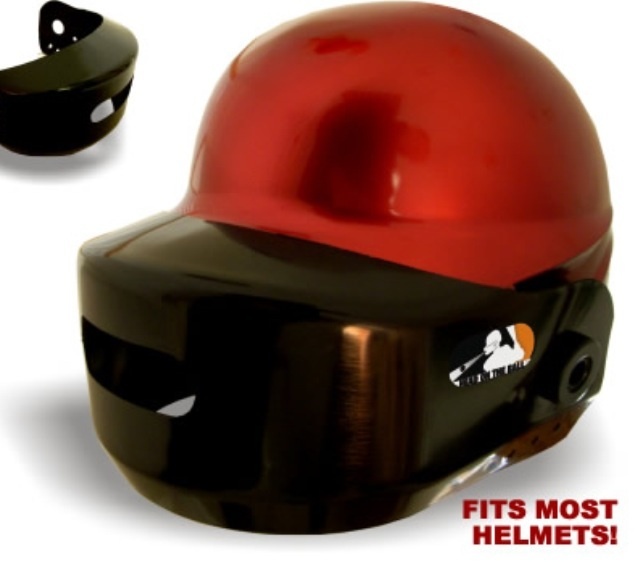 Just use a batting helmet and have the receiver take a few with the visor on and then take it off. Golf, tennis: you name it. The use for this product is limitless. All serious offers considered including complete sale or advance with royalties. 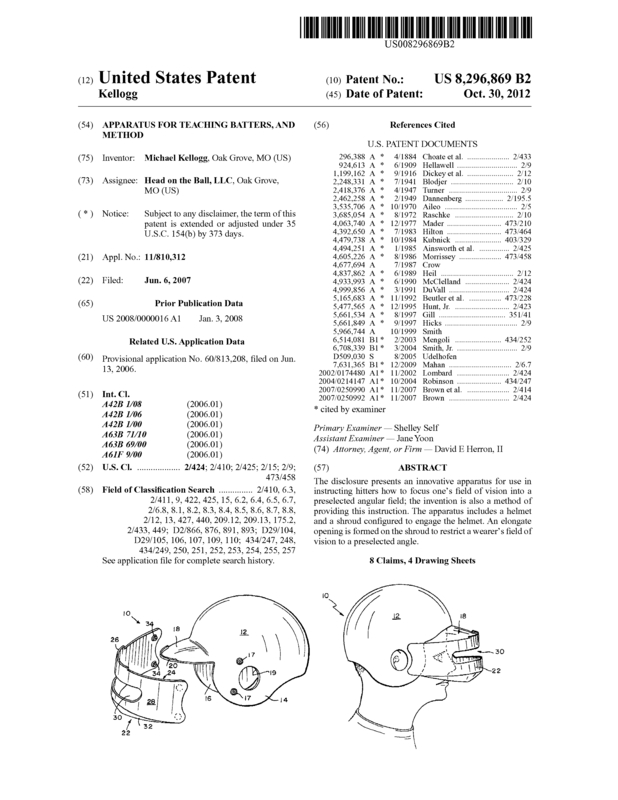 Page created at 2019-04-25 10:02:22, Patent Auction Time.